Have you ever been in a city and wanted to make a bicycle-tour? Then you will probably be annoyed by the high prices and the shabby bikes. Time to change this with my next weekly startup: MyBikeRental.com - the AirBnB for bicycles. As always: If you want to read the summary first, here you will find it. My head still aches…at this weekend I finally had my Wine-Tasting from my first startup Sharevent. It was a full success! 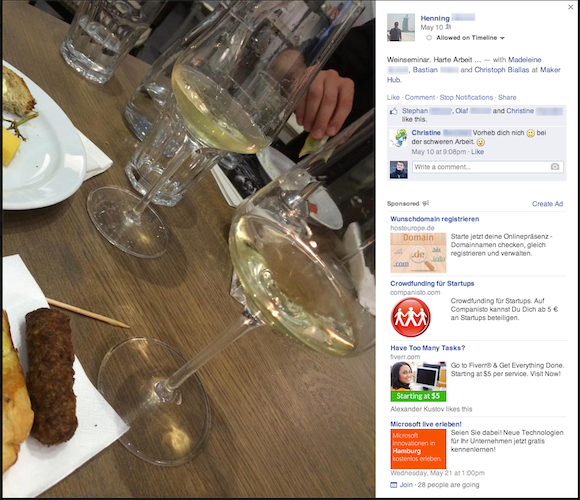 Thanks to Tvino and the Makerhub, we had a wonderful evening, with 25 people and 13 different wines. It ended at 2 a.m. (at least I think so…) and it was a lot of fun. People got drunk and I got in touch with new, friendly people. Okay, enough said! Time to start the next weekly startup. Within the last week I generated over 70 new business ideas, therefore my first task for this week was to separate the good ideas, from the bad ones (and the really bad ones). I cut down the list to 8 startups, which I want to start within the next weeks. I took the first startup on the list and started: MyBikeRental.com (yeah, the domain was still available – i couldn’t believe it either). The idea of MyBikeRental.com is fairly simple: I wanted to create a platform where people could offer their bikes for rental. It’s like AirBnB but just for bikes. People like to explore cities with bikes but most of the times you can just rent shabby and expensive bikes from greedy companies – why not rent stylish and cool bikes from private persons? Okay, I have to build a so called multi-sided platform (MSP), where I could enable interactions between the demand and the supply side. Puuuh, sounds horrible - especially for a guy, who has no real coding-skills, like me. I wrote down my 3 biggest problems I had to solve for MyBikeRental.com to keep me at least focussed. How do I build this multi-sided platform? How could I get people to put their bikes on my platform? How could I get traffic to MyBikeRental.com? Yeah, I know what you think: “This guy always says ‘Don’t build websites – build businesses!’ and now he is building what? A WEBSITE! Seriously?”. Yes, you are right. Of course I could try to do everything without a website (using email, phone, Google Forms etc.). But in this case the (basic) website was very easy to build and I thought it was easier to remember MyBikeRental.com then my phone number. Therefore I wanted to give it a try. Before I started with my website I took some time to define the target customers. For the demand side I assumed that mostly people on a vacation would use my service. For the supply side this was a little bit tricky: Whom should I ask to rent their bikes on MyBikeRental.com? 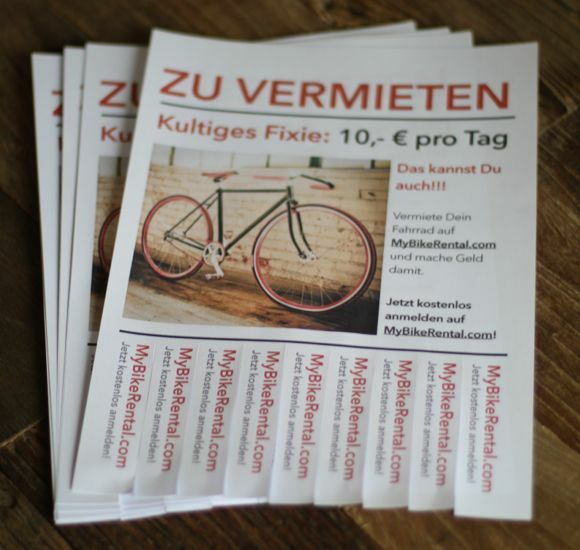 Interested in a small additional income: Probably you won’t get rich, when you offer your bike on MyBikeRental.com. Therefore the target customers must be interested in even a small additional income. It really took me some time to find the right “supply side target customer” but then it suddenly hit me: Students! They always need some additional money, most of them own a bike and universities are very often close to the city center. My fellow students, here I come! With my target customers in mind, I started to build my website. I used WordPress and the awesome Enfold theme, which I used for some other websites before (I really, really love it). It took me 4 hours and 15 minutes to build MyBikeRental.com. Because I didn’t have the time to build an automatically working multi-sided platform, I decided to use some manual workarounds for most of the processes. In my opinion it is always a good idea, to program functionality when you really need it – and not in advance! Tomorrow I wanted to visit Hamburg’s university and hand out some flyers. Time to prepare the stuff! “[Address customer] You own a bike? [Get attention] You want to earn some extra money? [Explain the idea and make it a no-brainer - that's why I added "during the lecture"] Then why not offering your bike during your lecture for rent? That’s it. I wanted to keep it as simple as possible. I added some nice graphics et voilà! 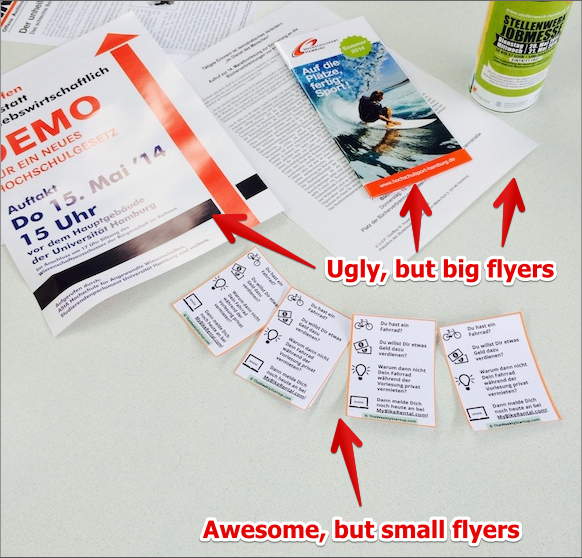 At my last startup Checkout +1 I got crazy, when I cut out all the flyers with a scissor. Therefore this time I tried something new: Knife, Chopping Board & Ruler! I know it’s a little bit off-topic, but using a knife, a chopping board and a ruler instead of a scissor is much, much faster. And this is the best way to do it: Start with the inner borders first and then finish with the outer borders. Build functionality when you really need it: Try to do most of the processes of your website manually – just build functionality when you really need it. Define your target customers: Before you build a website define your target customers. It helps you to stay focused on the things your customer really needs. 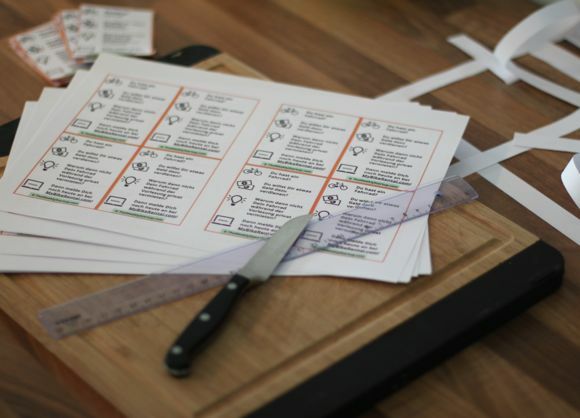 Use knife, chopping board and ruler instead of scissors: Don’t use a scissor when you want to cut out flyers. Take a knife, a chopping board and a ruler. Time to get up and visit my old university! Time to hand out some flyers! Before I started to hand out the flyers I double checked my website MyBikeRental.com. This is an advice I give everyone who publishes a website: Build the website, sleep a night and then double check it. Even small mistakes (like wrong phone number) can have a big impact (all the people you gave a flyer couldn’t reach you) on your business. 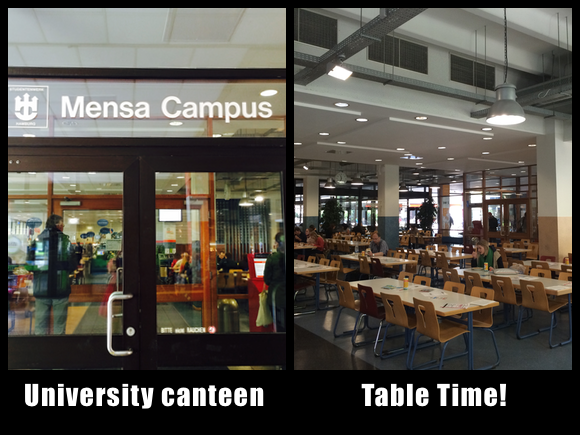 I went to the university and there I went directly to the canteen. Canteens are a perfect place for flyers. Why? Because people (especially students) like to read, when they eat. There I was at my old university, putting 80 flyers on tables in canteens. Weird! Unfortunately I made a mistake at the flyer-design: They were too small! Therefore it was very hard to recognize them between all the other flyers. Note to myself: Don’t save money at the wrong place and make your flyers BIG! 2 users? Actually it is just 1 user, because I was the other one…THAT’S disappointing! But here is the good news: Guess my conversion rate? It’s 100%. Yeah, the user who visited my website registered for MyBikeRental.com. That’s great! It seems that I got a problem with my marketing. Putting too small flyers on university canteen tables didn’t seem to work. I have to try something new, to get more attention. Double check your website: Before you publish a website, sleep a night and then double check it. Do it right at the first time: Don’t save money at the wrong place. Chances are high, that you have to do things twice, when you don’t do things right at the first time. 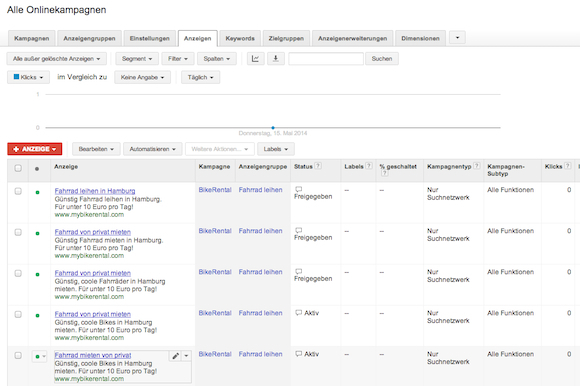 Track your website with Google Analytics: That’s a no-brainer, but I think I never mentioned it before. Forget the high wheeler idea. I will build better flyers. Short analysis: What went wrong with my last flyers? But there were actually one thing that was really great about these flyers: I could produce a lot of them with relatively small costs (I printed 8 flyers on one sheet of paper). I went back to the university but this time I changed some stuff. I decided to display my ads where cyclist would see them. In other words: I tried to reduce my waste coverage. So I put my ads on traffic lights (actually I don’t know if this is legal) and on bicycle stands. I am curious how this will work out…probably I will get into jail. This would make the sign up process much easier for the customer – and of course people would visit the website to find out if I put a picture of their bike on it (which I would not do, of course). I haven’t done anything so far, to validate the demand side of my business model. Therefore I decided to build a quick & dirty AdWords campaign to get people to my website, who would like to rent a bike for a city-trip. I gave it a small budget of roughly 15 Dollars, because I just wanted to test it. Let’s see if people would rent a bike. Focus your ads on your target customers: Handing out flyers to everyone does not make sense, handing out flyers to people who have bikes is much smarter. Make it as easy as possible for your users to sign up: Take the work out of your customer’s hand and do most of the work on your own. I should have taken pictures of the bikes, not the customers. Give your users a reason to visit your website – make them curious: If I would have tried the “I made a picture of your bike” idea, probably more people would have visited my website. Why? Because people are curious and want to find out what I have made with the picture. Day 5 – final round! Did the new flyers perform better? Did the AdWords campaign work out? I will make it short: Yes, but on a very small level. The new flyers work a little bit better. I could increase my traffic by 100%. It’s not as much as I hoped for, but at least people are reacting better to my new flyers. Bad news: There were no new signups. Yes, it did. 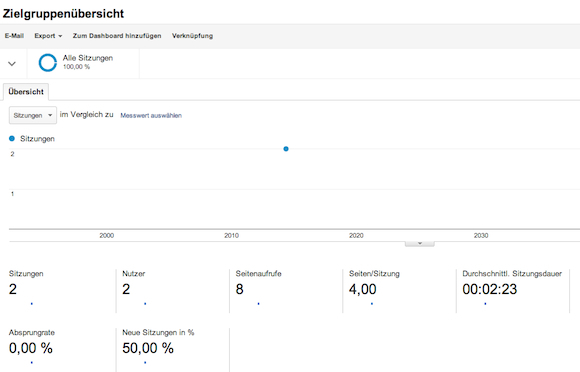 I got 20 visits in 2 days via AdWords and one visitor signed up to rent two bikes for 2 days (unfortunately I had to reject him, because I had no bikes available). Again: That’s not much, but for doing this business on such a small scale, it’s quite okay. Well, is MyBikeRental a success or not? Let’s have a look at the numbers. I am very confident about the demand side. It just took me 20 visits to sell 2 bikes, that’s a conversion rate of 10%. Of course I know that there is not statistical significance, but when you build a startup its hard to get something like this. Sometimes you have to go with your guts: I get a good feeling about this. 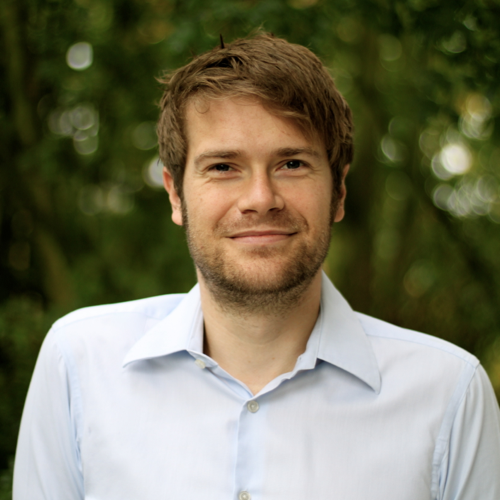 The biggest problem I see on the demand side is the potential: There are just too little number of tourist in Hamburg, Germany (that’s where I live and tested MyBikeRental.com). Giving you an example: Hamburg has 5 Mio. tourists per year, San Francisco has 16.9 Mio. tourists per year, New York has 47 Mio. tourists per year (sic!). You see what I mean? The biggest challenge on the supply side was getting attention. But I am very confident, that you could raise the attention level by a more “aggressive” marketing (making pictures of the bike and putting notes on the bike). And I am very sure, that in a more touristic area, people are more willing to rent out their bikes, because they see real-life examples (= real bike rental businesses). It was some hard work to acquire one supplier – but it worked. And it worked with a really shabby website. I think, when you would build an app or a cooler website, you would get more signups. I am more on the success side, because I have a (very small) proof of concept. I really would like to try out MyBikeRental.com in a more touristic area, to get a more realistic validation. MyBikeRental.com works, if only on a small level, but it works. I think that Hamburg is probably not the best place for such a business, because it is not touristic enough. But I honestly think that this business could work in tourist areas (I just think about all the “Rent-a-bike” companies in San Francisco or New York). So, if anyone of you live in an touristic area: Try it out! Write me an email, I would love to help you (and I have a domain to sell ). Well, here’s the summary for startup #6: MyBikeRental.com. 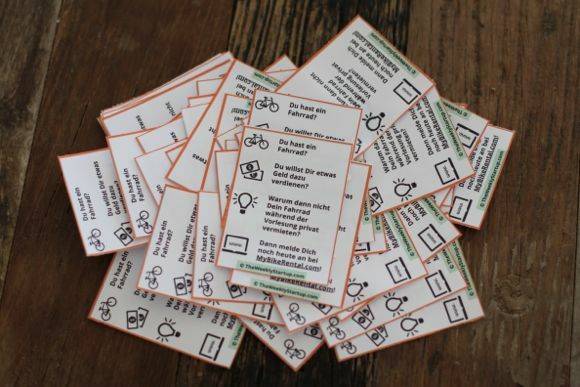 Elevator pitch: The startup idea in one sentence MyBikeRental.com – The AirBnB for bikes! How did I get the idea for the startup? I used the “Solve Your Own Problems” tool: At my last holidays I was annoyed by the high prices at bike rentals. How did I try to make money with the startup? I wanted to build a multi-sided platform, where people could rent bikes from private persons. I would take a commission on each renting. How much money did I make and where did it come from? Zero – but it wasn’t my first goal to make money. I wanted to find out, if people would use the platform. What decision did I make after one week? Grow or go? I really like the idea and I was impressed, that it worked – if only on a small level. Probably Hamburg, Germany is not the best place for such a business. But I think the idea could make some money in a more “touristic area”. So, anyone want to try? What were the main learnings of the startup? How will I use them for the next startup? Build functionality when you need it: Don’t do everything at once, do things step-by-step. Most of the functionality of your website you can build later. Focus on validating your business idea. Make it as easy as possible to sign up: Do all the work for your customer. Next time I will try to think “How could I build my offer in such a way, that the customer just has to say ‘yes’ or ‘no’. Give your users a reason to visit your website – make them curious: Give people a specific reason to visit the website. Make them curious. Try to connect their life’s with your website. Use price tags: I think it is smart to say to your potential clients how much they could earn, when they sign up. Saying ‘You will earn some money’ is not enough – saying ‘Earn 10 Dollars extra per day’ is better. All right, that’s it! I hope this blog post was helpful for you. 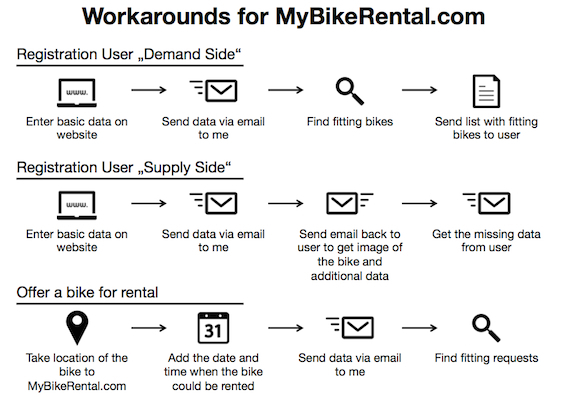 If you want to do MyBikeRental.com in your area, just write me an email. Please feel free to sign up for my newsletter to get the next Weekly Startup directly to your mail account. Additionally you will get the Top 10 Tools for Business Ideas Generation for free. AND: I would love to hear your feedback on MyBikeRental.com in the comment section. Do you think too, that it could be a successful startup? Sign up now for my newsletter and get 10 awesome tools to find new business ideas - for free! you are right – the prices (for renting) are too high. But as far as the supplier is concerned–>don`t you think that an insurance would increase the confidence in your service? thanks for your comment. Yeah, an insurance could definitely help. This would be also a great way to do it. Great post again! The funny coincidence is that I met with a couple of entrepreneurs last monday and we actually had the same idea! There is already a car version of this in the Netherlands, but it doesn’t really seem to take of. Perhaps people value it too much to rent it out. I also think Elmar has a good point regarding insurance, since bikes get stolen a lot. Have a nice weekend and good luck on the next startup! thanks for your comment(s) and your support! Awesome! Do you now the website of the car version? Would be interesting. Apparently there are 43.000 people who already subscribed to the platform. thanks for the link – I just read about it on Facebook. imho you didn’t thought this through enough. 1. You missed customer validation. Would people really rent their bike to someone? Especially for students their bike might be one of their most important items. They probably wouldn’t like to lose it. 2. I’m not sure, if your tourist count is correct. In 2012 Hamburg had over 10 Mio. hotel room bookings. I guess, you could easily add one or two million visitors who didn’t sleep in Hamburg. Just think of the “Hafengeburtstag”, which – of course – is not a good weekend to ride a bike. 3. Hamburg already has a good bike rental service. The bikes might not be the best, but there are a lot of stations in the city, where you could get and – most imporant – leave a bike. So it’s very easy to use. Ad 2) I got the number from here: http://www.hamburg-tourism.de/business-presse/zahlen-fakten/faqs/. Seems to be an official one. Be aware: Many hotel bookings are from business people, these are not in the target customer group. Ad 3) Yep, agree on that one. But for a day trip they cost more than 10,- Euros per day (12,- Euros http://stadtrad.hamburg.de/kundenbuchung/process.php?proc=download_tarife&f=510). That’s why I thought there could be a niche. Cheers and enjoy the weekend! Great stuff Chris! I like you style of ‘Screw it, Lets do it’ instead of sitting around with ideas! SUPERGEIL CHRIS! Mit solchen Ideen kommt auch Hamburg als Gründerstadt nach vorne. Ich habe vollen Respekt vor der Leistung, die in der Umsetzung steckt. Ich finde die Idee echt gut! Der Service könnte bestimmt auch in Hamburg funktionieren, ich bin oft beruflich dort und würde den Service pro Woche ca. 3 Tage nutzen wenn gutes Wetter ist. 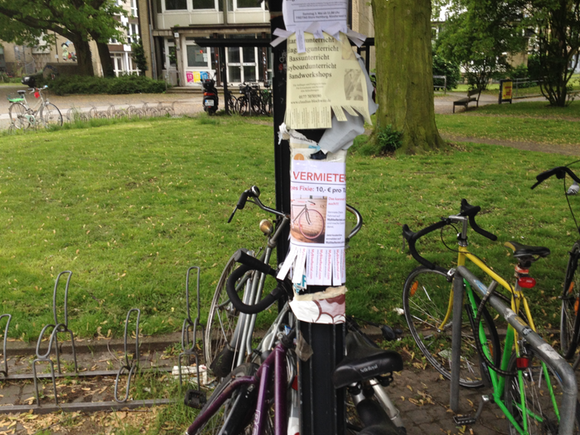 Vermieter / Bikes könnte man wahrscheinlich recht gut über Flyer als Anhänger am Lenker gewinnen (sowas: http://goo.gl/NLNqhV). Für die Übergabe und das Mietmodell würde ich einfache Zahlenschlösser verwenden und nicht zu viel Aufwand treiben. Als Übergabepunkte würde ich die großen Bahnhöfe, den Busbahnhof und den Flughafen wählen. Eine Versicherung für die Räder dürfte ca. 20€ pro Jahr und Bike kosten, natürlich abhängig von der Stückzahl und den Mietvorgängen. Als Zielgruppe würde ich mir zusätzlich auch Fitnessbegeisterte auf die Fahne schreiben um den Gesundheitseffekt stärker mit reinzubekommen. Neben der Vermieterprovision würde ich weiteren Umsatz durch Services (z.B. Bike steht an einer bestimmten Adresse bereit) und Produkte (günstige Helme und Beleuchtung) generieren. Außerdem könnte man von den Bikebesitzern verlangen das die Bikes der StVO entsprechen und ggf. ein entsprechendes “Mach dein Bike fit” Paket anbieten. vielen Dank für den Super-Kommentar! Sehr cool finde ich die Idee mit den zusätzlichen Service-Leistungen. Bin ich mal wieder gar nicht drauf gekommen – aber das kann wirklich noch einmal ein Hebel sein. Würdest Du die Fitnessbegeisterten dann mit speziellen Fahrrädern “beliefern” wollen, also Rennrädern etc.? ja, da würde ich eine Vorauswahl treffen – evtl. könnte man ja auch mit einem Fahrradhersteller sprechen. Wenn der dir die aktuellen Modelle (nahezu) kostenlos zur Verfügung stellt machst du kostenlose Werbung für die Räder und potentielle Neukunden können die Teile ausgiebig testen (oder so ähnlich). Das müsste man mal mit ein paar netten Folien als Win-Win ausschmücken. Damit kann man bestimmt den ein oder anderen Hersteller als Partner gewinnen, bis jetzt wirkt deren Marketing ja eher angestaubt. Das gleiche gilt meiner Meinung nach auch für viele Bekleidungs- / Zubehöranbieter. Um Kunden für den Service zu gewinnen würde ich an kleinere Hotels ohne eigenen Fahrradverleih, AirBnB-Anbieter und jemanden wie HRS herantreten. Um etwas Werbung zu machen würde ich Schilder designen die auf den Gepäckträger passen oder in den Rahmen gehängt werden können. Welcome to the “AirBnB for Bikes” space! I’m at Spinlister, we do something very similar and we have encountered very similar issues to what you’re facing. We’ve found having a mobile app has helped tremendously with getting bikes on the platform (as people can just take photos in the app) and messaging. DM me on twitter if you’d like to chat sometime (@carterdea). I really like your high speed execution model ! 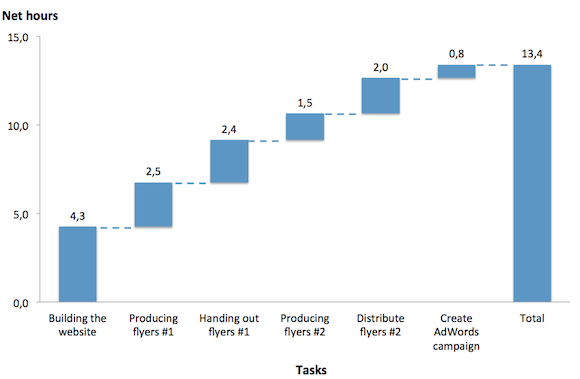 Did you use any tool for visualization of spent time per project or just excel spreadsheet ? I generate, validate and execute business ideas in high-speed. Big companies in Germany get their business ideas checked by my incubator and management consulting firm 8seeds. This blog is all about testing businesses ideas in real-time and real-life.